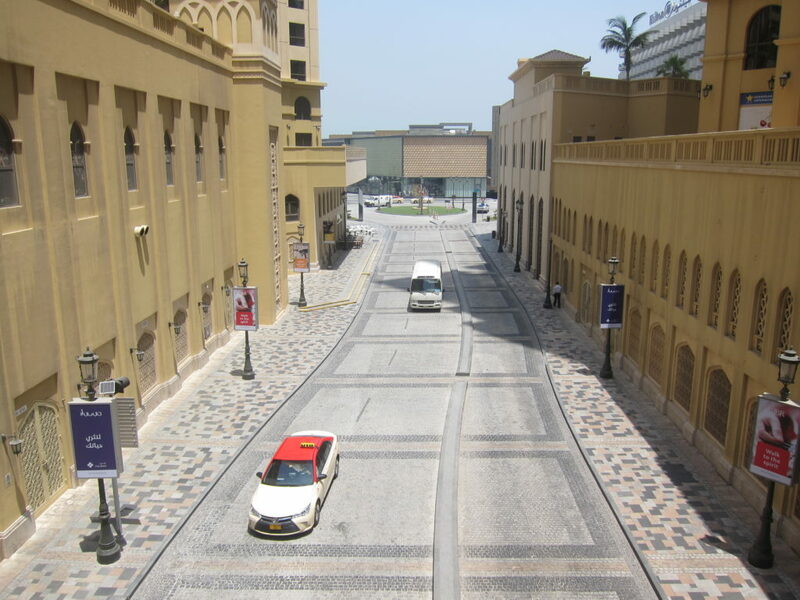 Several streets are surveyed in depth to identify the recurring dimensions and proportions that characterize Dubai streets. The way a street is used is strongly related to allocation of space to different users. Generally, footfall increases in streets with large sidewalks especially in front of retail destinations or in proximity of key public functions. Large sidewalks also facilitate walking, increasing user comfort and attracting more people along a specific route. Moreover, roads with many and wide lanes become main urban corridors for medium to long distance vehicular trips, attracting more cars. Therefore, increasing the noise and air pollution in the area, decreasing the suitability and success of amenities at ground-floor, reducing the number of people moving by foot along the road. The same generally applies to cycling facilities. Between June and August 2017, 36 roads were surveyed to understand and document the state of Dubai streets. 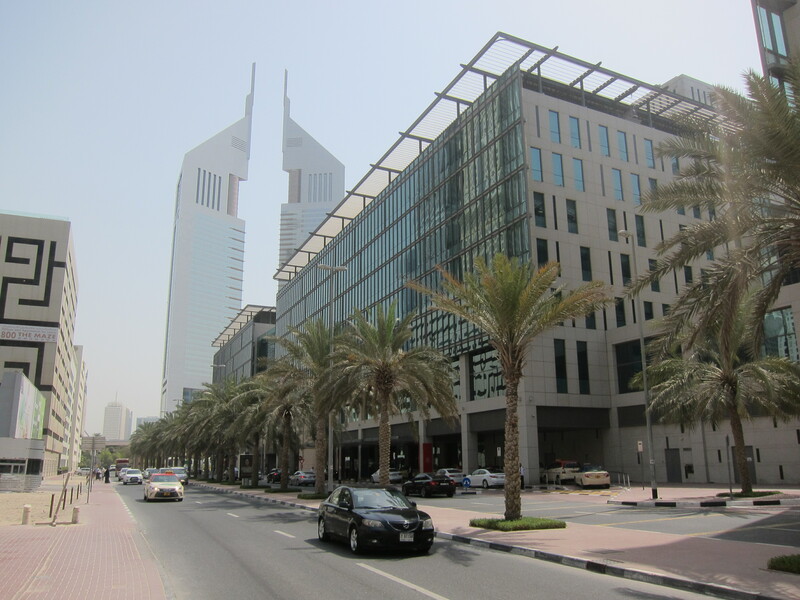 While being far from a comprehensive database of all streets in Dubai, the collected data describes road sections that were specifically chosen for their peculiar character: from heavily vehicular to fully pedestrianized, with cycling lanes, and on-street parking. Some of them are very successful public places, which should be taken as examples to follow and replicate in the future, while others leave room for improvements that are addressed and proposed in this book. 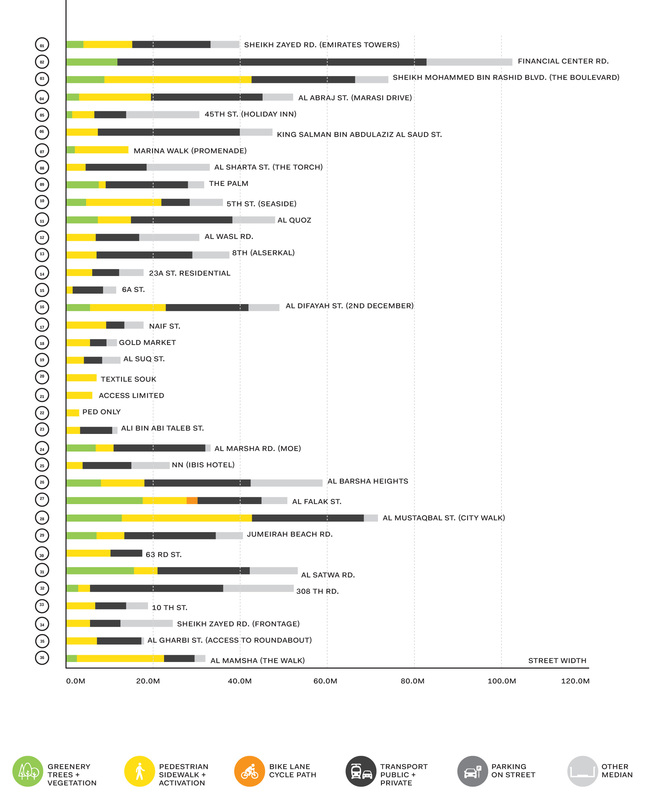 The diagram above provides a quantitative comparison of all surveyed roads: it is significant to notice that more than 30 meters are dedicated to pedestrians in the Boulevard (n.34) and City Walk (n.09), while in other important streets up to 20 meters is reserved for pedestrians and greenery, such as The Walk at JBR (n.01) and 2nd December Street (n.21). Moreover, it is noticed that most of the streets larger than 40 meters with small quota of sidewalks lack urban quality and result in fewer pedestrians on the ground floor, such as Al Wasl (n.26), Al Barsha Heights (n.11) and 308th Road (n.05). This is not the case of Al Satwa Road (n.06), which has an active ground floor due to its higher urban density and availability of more public transport services. By grouping instead streets with similar allocation of space, few specific groups are identified and explored further. It was soon discovered that proportions are more indicative than the dimension itself. The above scheme provides a different reading of the collected data during the surveys: instead of providing the precise measures of each street component, the share for each road user is shown, from fully pedestrianized to car-oriented streets. Different combinations and rankings are studied and the one that better describes the perceived reality and the qualities of the street is the one that arranges the streets by their share of driving lanes plus the space for parking. 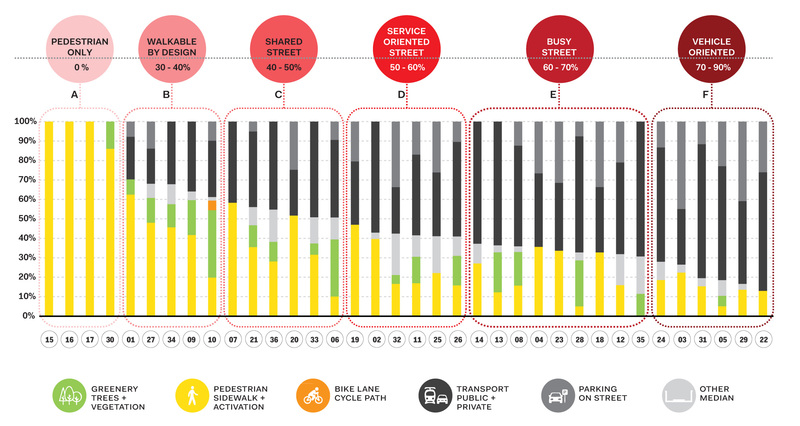 As a result, six different road groups are identified, together with the tipping points where major changes are observed from a fully pedestrianized street to the most car-oriented. It is noteworthy that this approximates the reality and there are surely many cases that don’t fit in this classification, however, most of the Dubai streets can be categorized as one of the following. 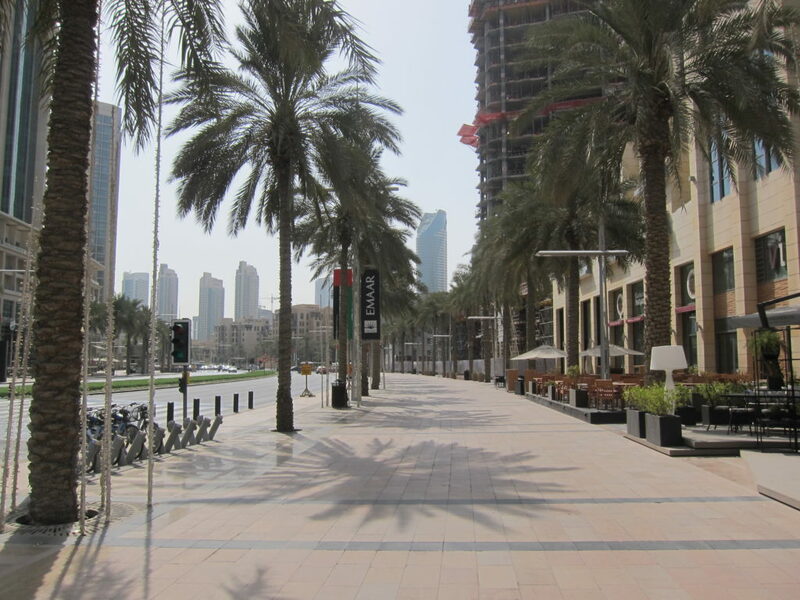 In these streets, pedestrians can roam freely without paying too much attention to vehicles; this is mostly the case of fully pedestrianized areas such as Textile Souk (#17), the Waterfront Promenade in Marina (#30) and in streets where vehicular access is for deliveries only, like in the example from Bur Dubai (#16). These streets are designed with the intent of being walkable, with ample space of up to 60-70% dedicated to pedestrian movements; this is generally also reflected in the choice of material as well as in a step-free environment where sidewalks are seamlessly connected. 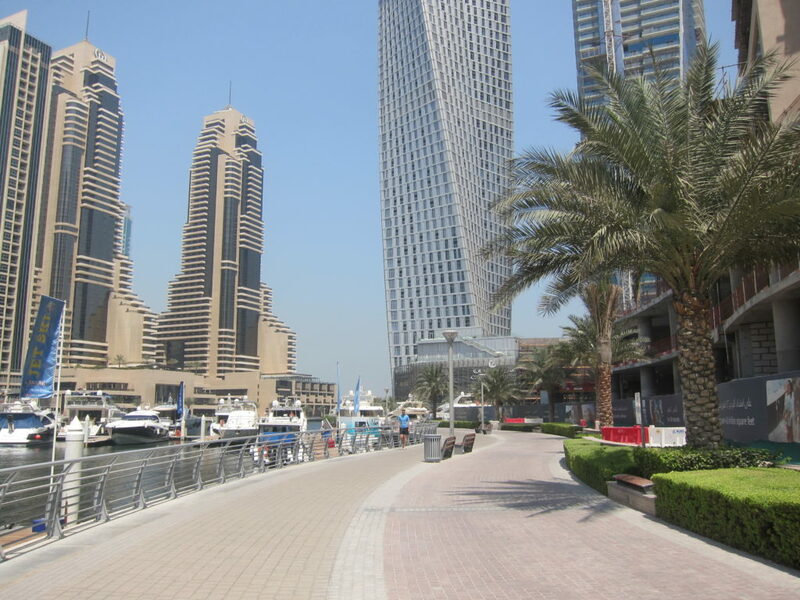 This category comprises of great streets such The Walk, The Boulevard or the main street cutting through Citywalk, as well as Al Falak Street, in Dubai Media City, where there is a good mix between vehicular lanes, green buffer and a two-way cycling lane. These streets have approximately 40 to 50% of the right-of-way dedicated to vehicles; as a result, there is adequate space for pedestrian movements, the ground floors are activated with shops and there are always people walking at every hour of the day in all seasons. However, certain qualities of the previous category (B) are no longer there and some safety measures are required to reduce the perceived vehicular presence. These streets are ideal testing grounds for innovative pilot projects. Few minor interventions would improve them significantly, increasing their attractiveness and turning them into more successful centralities. 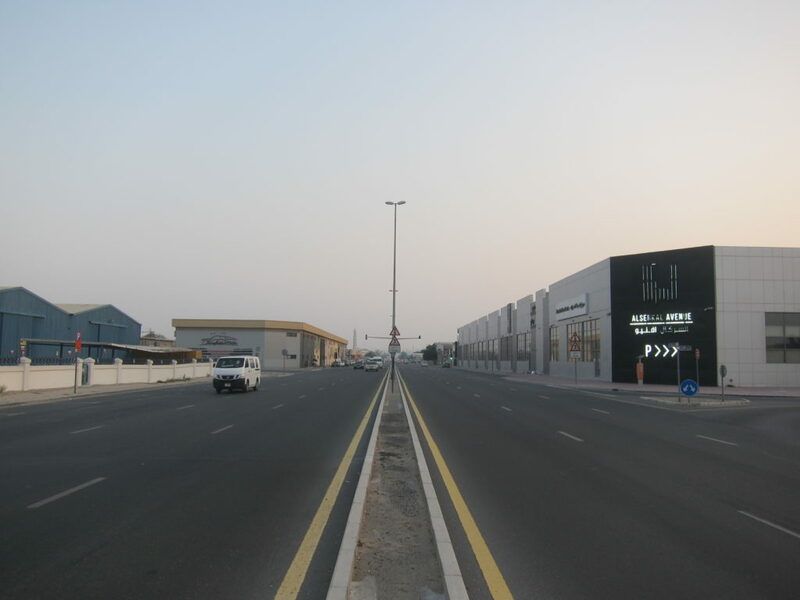 More than 50% of these street sections is dedicated to vehicles: this is the threshold in Dubai where most of the walkability preconditions are missing. 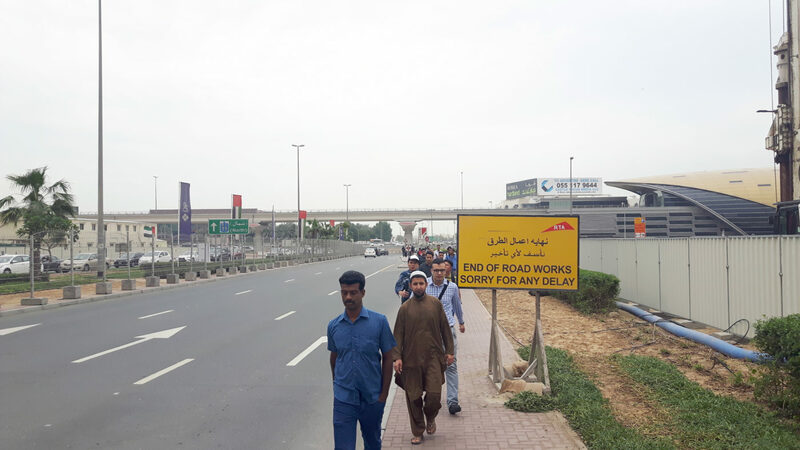 Despite having a great potential, like the case of the roads in Al Barsha close to Mall of the Emirates or Al Wasl Road, the design of the streets impedes pedestrian movements. The lack of crossings reduces the permeability of the roads (with a subsequent increase of dangerous behavior of people who wants to cross anyway) and the width of the sidewalks does not allow for proper ground floor activation. These streets could be turned into completely different places by removing or narrowing vehicular lanes, providing more space for other transport modes; some examples of retrofitting strategies are shown in the last chapter. Up to 70% of the width of these streets is dedicated to cars, mostly vehicular lanes apart from narrow roads within quiet residential areas. Vehicular flows are generally high, the lack of ground floor activities is evident and retrofitting these roads will not suffice to turn them into urban environments without a densification process. Some isolated cases should instead be transformed due to their strategic role within the city and their potentials. 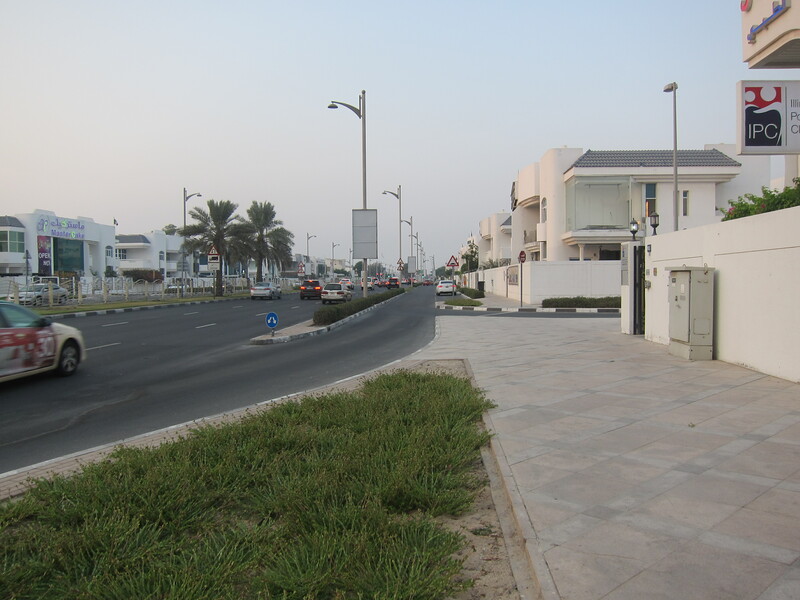 For instance, Jumeirah Beach Road, is the gateway to the entire coast and frequent pedestrian crossings would increase the accessibility from neighborhood on its eastern side. 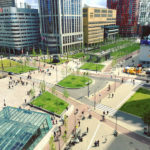 Vehicle-oriented streets, with more than 70% of the space dedicated to cars, are designed to facilitate vehicular flows and generally have a key role within the entire road network. Along the main strategic axis, lanes could be potentially dedicated to public transport such as buses to create main transit routes between important city nodes.